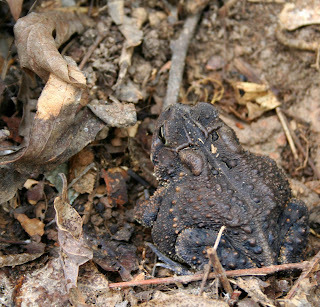 Nature Art Photography And Oil Paintings - by Carolyn Hietala - ARTIST Richmond Virginia: If it does rain today this backyard amphibian will JUMP FOR JOY! 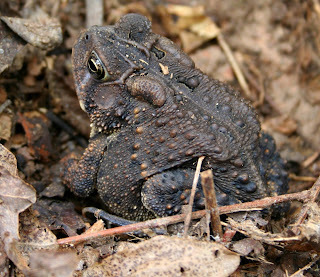 If it does rain today this backyard amphibian will JUMP FOR JOY! Ever wondered what might be under that log? 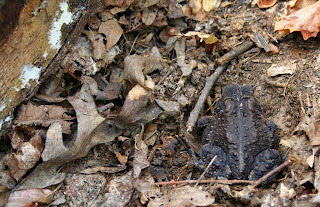 The toads dark color is a result from being in darkness under the log and is a good camouflage tactic. 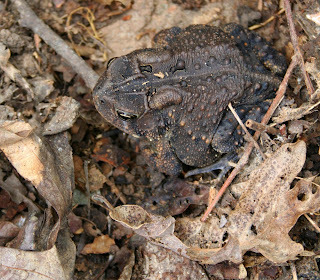 In daylight this Eastern American Toad will lighten to pale browns like the dead leaves surrounding it. Notice that it has puffed up with air in an effort to look "big & bad." I know better. Actually they are extremely docile and no they can't give you warts! 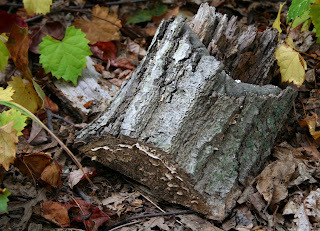 The lack of rain in Richmond, Virginia has confined this fellow under a log to conserve moisture. They can literally "dry up" and die without it so be kind and place a shallow pan of water near for them to refresh occasionally. Let it rain, let it rain, PLEASE let it rain!!!!!! !